Men who want to lower their risk of prostate cancer are advised to eat plenty of red-colored fresh vegetables and fruits including tomatoes (or in the form of ketchup or canned tomato products). If they already had the tumor, drinking four cups or more of coffee daily has been shown in epidemiological studies to lower the danger of its return. In Israel today are living 22,000 men who contracted prostate cancer. It is the most common malignant tumor in Israeli men (number one in Jews and second in Arabs, after lung cancer due to high tobacco use). In 2010, 2,557 new patients with invasive prostate cancer were diagnosed. However, although 380 Israelis (348 of them Jews) died of it in that year, the mortality rate is declining when linked with age in recent years. The disease appears usually after the age of 65 and especially between 70 and 74 in Jews and above 75 in Arabs. The highest rate is in immigrants from North American and Europe and the lowest among men born in Asia. The survival rate over five years is over 90 percent, especially if treatment begins early. According to international data, mortality from prostate cancer in Israel is relatively low compared to 20 European countries, and the figure is similar to those in Spain and Italy. The ICA advises all men over the age of 50 and those of younger ages who are at high risk (due to a family history or previous cancers) to go to their doctors for counseling. Prostate cancer may be present without any symptoms, and the victim is often likely to die of other causes. The prostate-specific antigen (PSA) test is not highly accurate in lowering mortality rates, but it is still sometimes used for screening of men under 50, men over 69 (because it is a slow- growing tumor) or in men whose personal life expectancy is between 10 and 15 years only. In many cases, PSA test results don't differentiate between cases of fatal and non-fatal cancer. But in men with high PSA levels, their risk of death from the tumor is lower if they undergo surgery. Tomatoes contain the beneficial antioxidant lycopene, as do watermelon, papaya, red guavas and apricots. 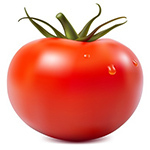 Eating 10 servings of tomatoes or tomato products or such produce per week can reduce the risk of the tumor. Studies at the Fred Hutchinson Cancer Research Center in the US have shown that in men with prostate cancer, those who drank four cups of coffee daily or more had a significantly lower rate of return of the tumor than those who drank no coffee, less coffee or drank tea.© Copyright Jerusalem Post. All rights reserved.